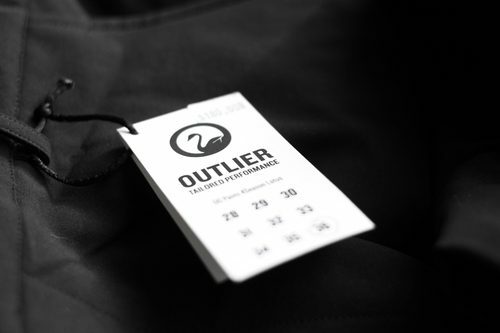 Outlier began as an idea. A clear intention, shared between two freelancers, Abe and Tyler. After commuting by bike to their day jobs, they quickly became frustrated at the limited offerings supplied by the fashion industry for cyclists. The two designers began to spend time in the Garment District, browsing the many high-tech fabric offerings by various vendors. Within months, they had their first product, a pair of high-tech slacks; the OG Pants. 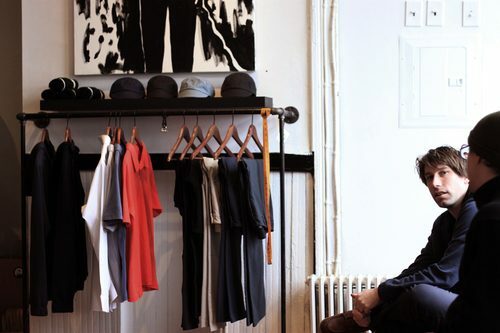 From there on out, the Brooklyn-based clothing company started to work within the local industry in NYC. Sourcing their garments to local factories, rather than overseas, Abe and Tyler were an ever-present face at their production house, inspecting construction and making changes as they saw fit. Eventually, the two designers began to branch out, working with local talent to expand their line. 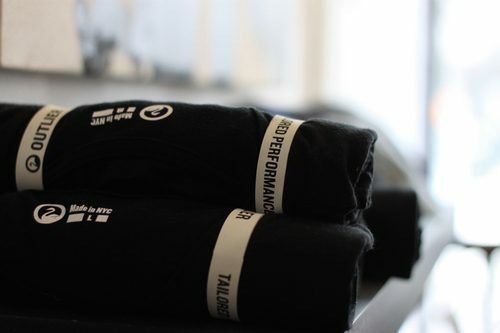 They now offer a full-line of clothing geared towards, but not limited to cyclists in the city. 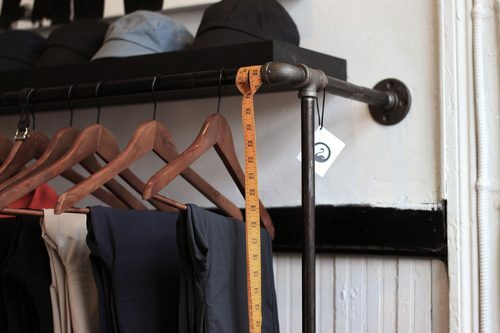 Check out more details and photographs of the Outlier showroom below. All of their garments are for sale at the showroom, in all sizes. Here’s their Empire Merino Tee. 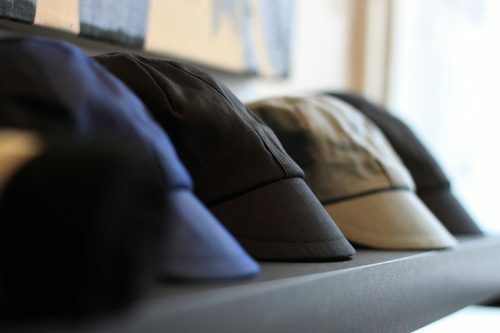 Both their Waxed Cotten and Tropical Wool caps are there to try on. 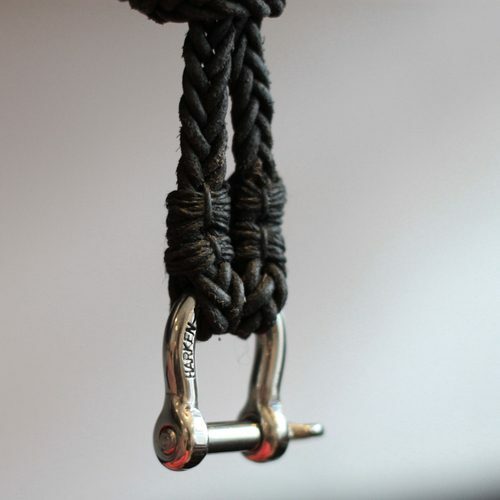 They even have a few of the ML Brown braided keychains. The cut and sew line. Abe chatting with Luke. Yes, those are short-sleeved polo shirts samples. You’ll see those in the Spring. 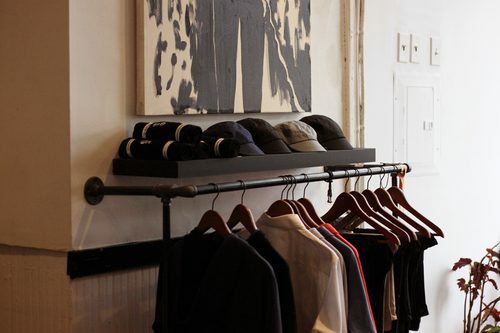 Outlier’s Showroom is around the corner from Williamsburg’s popular Bedford avenue shopping district. It’s located at 364 Leonard; a few blocks from the Lorimer L stop. Their hours are limited to 1pm-5pm every Saturday. 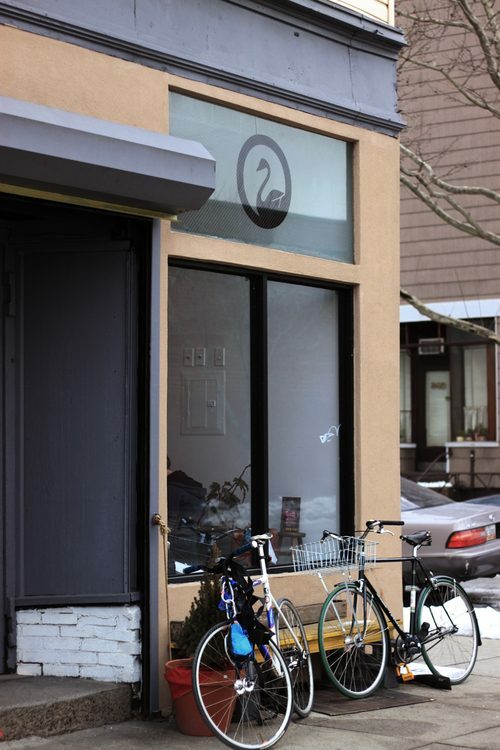 If you’re in the neighborhood on your bike, or on foot, be sure to stop by and see the shop. The guys have $20 and $60 sample bins stuffed with deals so come by early. Follow them on Twitter for new deals each weekend. Luke picked up one of their Pivot-Sleeve Shirts for $20. Not bad. Remember, if you can’t make it to their showroom on the weekend, all their garments are available in their online store and at various retail shops worldwide. 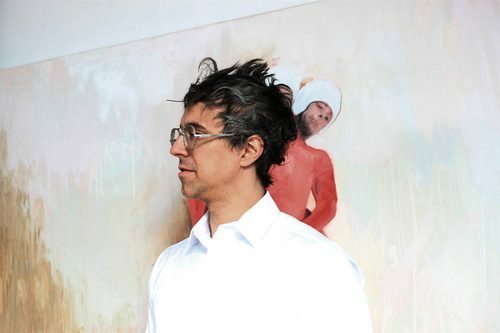 You can also read up on Outlier’s philosophy here.